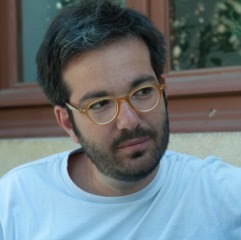 Nikos is a Lecturer of EU Law in the UEA Law School and Visiting Senior Fellow at the European Institute, LSE. Nikos is a Lecturer of EU Law in the UEA Law School. His research lies in the intersection between EU law, comparative constitutional law and conflict resolution. His doctoral thesis was published as a monograph with a leading publisher (The Cyprus Issue: the four freedoms in a (member-) state of siege) (Hart Publishing 2011). At the moment he is finalising his second monograph. (Territorial Pluralism in Europe: Territorial Pluralism in Europe: Vertical separation of powers in the EU and its Member States (Oxford, Hart Publishing, forthcoming in 2016)). His current research focuses on the constitutional accommodation of ethno-territorial conflicts in Europe.